Friday we had an adventure. We pushed through curtains of thick rain and heavy clouds to the city of intellectuals on a gloomy Friday. 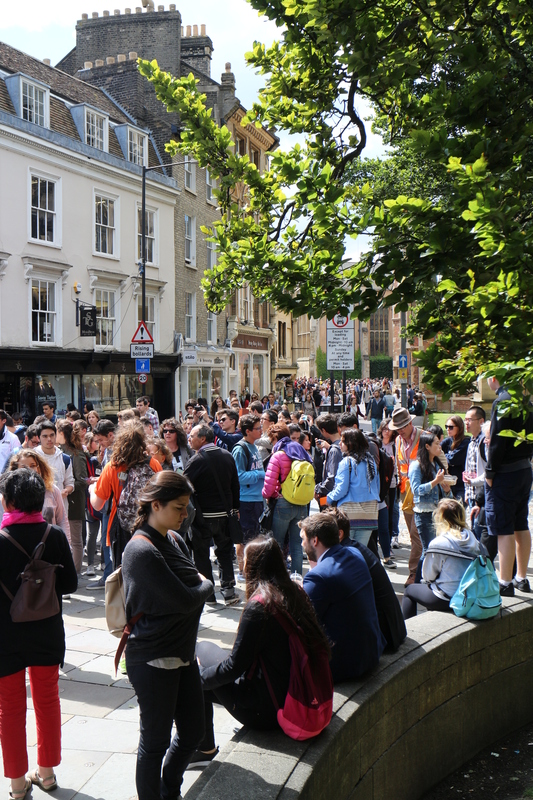 Did you know that around 30 of all nobel prize winners graduated from Cambridge? Or that Cambridge is not just a university town, but also an industrial town? Scores of markets were torn down to make way for some of the colleges by the river. Saturday the sun came out, the brides walked their aisles, the tourists snippety snapped as popular businesses rolled around in cash brought in from Asia and America, Africa and Europe. 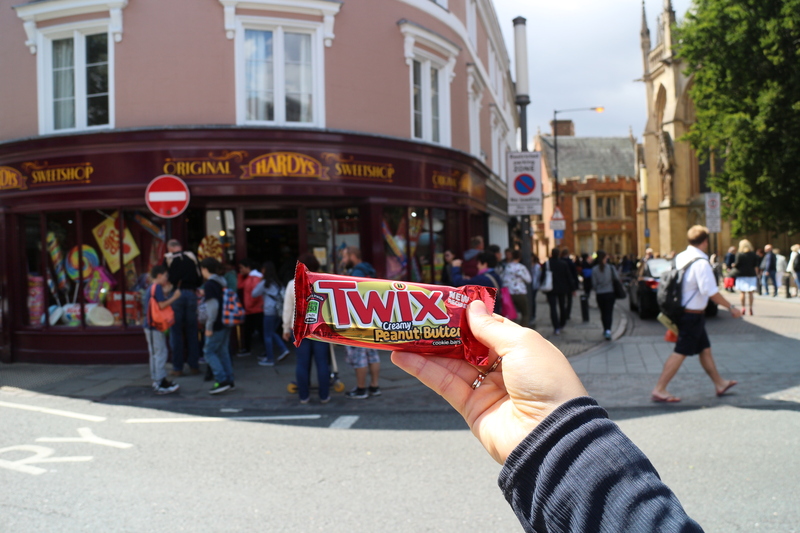 Namely among them, and I was one of the hundreds to succumb foolishly to it’s charms, was a quaint little affair called called Hardy’s Original Sweetshop. So needless to say, I enjoyed Cambridge thoroughly. 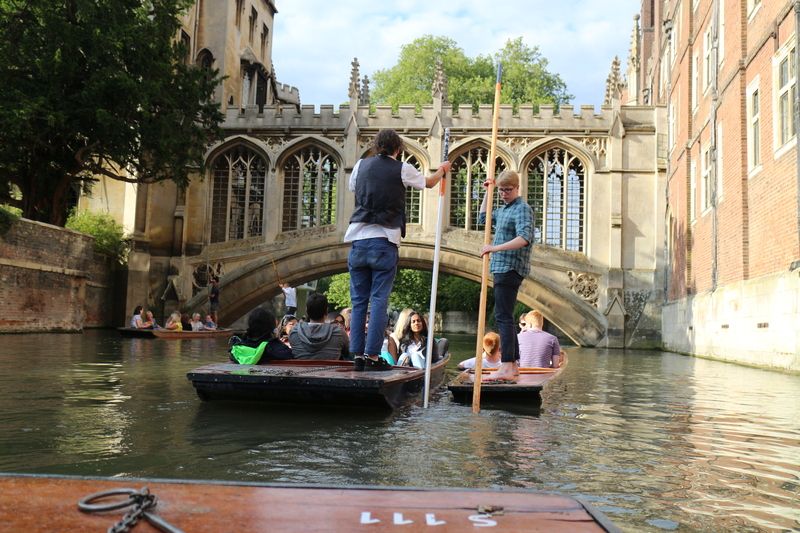 There was a sea of tourists, most notable among them were the Chinese and the Americans, milling about all the most popular places, like King’s college, the Fitzwilliam Museum and most of the punting stations. We also photobombed some wedding shots, and I found The Haunted Bookshop, which appealed to me because a). it was haunted, and b). it was a bookshop. I am not too sure about the haunting though, I eavesdropped on a tour guide telling a crowd of bored looking Americans that there had been a little girl who was murdered there, and you can tell she is drifting about because she is always accompanied by a smell. I am not too clear on the particulars of the story. The bookshop was messy and small and glorious, with tottering piles of books fitted into every nook and cranny, little notes here and there, and the most exciting books hiding in the most intricate places. There is nothing quite like a long browse through volumes that were once thumbed by ancestors we only read about in books. I found some original Beatrix Potter, Austen and even Shelley! Worn covers and faded inscriptions inside were enough to tell me that the people of yore did in fact exist and they loved books just as much as we do. The gardens were top notch, and the colleges were the stuff of day dreams and night dreams. And regular thought-dreams. The feeling that stood out the most for me in Cambridge was that I honestly thought I was in an entirely different world. It felt like I had stepped back in time, or was wondering the cobbled streets of another country. Roses climbed up old stone walls, greenery mingled comfortably with ancient architecture, flutes were played, coffee was had, and tudor houses hunched their breasts out over winding streets. But I was still in the UK! It really didn’t feel like it. Cambridge is a sight not to be missed. Especially if you love books. There were books and bookshops galore. Plenty of coffee, ice cream and parks too. Imagine a fine summer’s day, sitting on a bench with a lovely view of one of the beautiful college chapels, coffee in one hand and an exciting novel in the other.. what could be better, in this ancient university town? You may be surprised to learn this, given my track record of being despicably bad at writing blog posts, but this blog post is actually me procrastinating! I am supposed to be outside on the green working out for 45 minutes before the gates of the gallery open and an influx of summer day-outers arrive with their children in tow to disrupt my countryside peace, but I thought I would make this quick post on creativity and inspiration before I go, since I have had my morning coffee and am pumped up and bursting with motivation! Today is an up day, folks. I am inspired by several people. I won’t mention all of them, just those that have inspired me this morning! Jack Howard is one of them. He is a youtuber who is doing a great many things with his life, and I do not always watch his content, but when I do I am immediately motivated to write more, move more, dance more, paint more, read more, learn more. I cannot pinpoint exactly why his videos make me want to do that, but they do. He seems so vibrant and full of information and witticism, and I am a sucker for witticism, which sadly always seems to hover just beyond my reach, and so my little quips always fall a little flat. D Wallace Peach is another inspiration. She makes me feel uplifted, and she does not know it but she encourages me to write more, which is something I struggle to do when I am feeling low, which is a lot recently. She is an author of several books I have yet to read (and I will, I certainly will), and her writing is full of life and love and the nurture of nature through it’s seasons. I always want to take up my pen as I used to in the days of yore and cover mountains of crisp paper with my scrawly, fat handwriting after reading one of her posts. Well, this was just a short post to tell you that I am pumped with life, dear reader. I want to be more. I want to aspire higher. My husband, who is also one of my biggest inspirations, has taught me through his actions and his very being, that you can always be better than you are, and that there is nothing out there that you can’t do. He opened my eyes to the fact that we are only limited by our perception of things. I am only limited by the excuses my mind makes NOT to do something. I can, therefore I will. Who motivates you to do what you do? I wanted to remark on how pretty you were this year, darling. You reached out soft, pale green tendrils of hope, an explosion of pink flowers cascading over lush green leaves, roses gently nudging their way into existence, a spattering of buttercups, tall and strong, among the rippling grasses, and so many patches of surprise giant daisies! 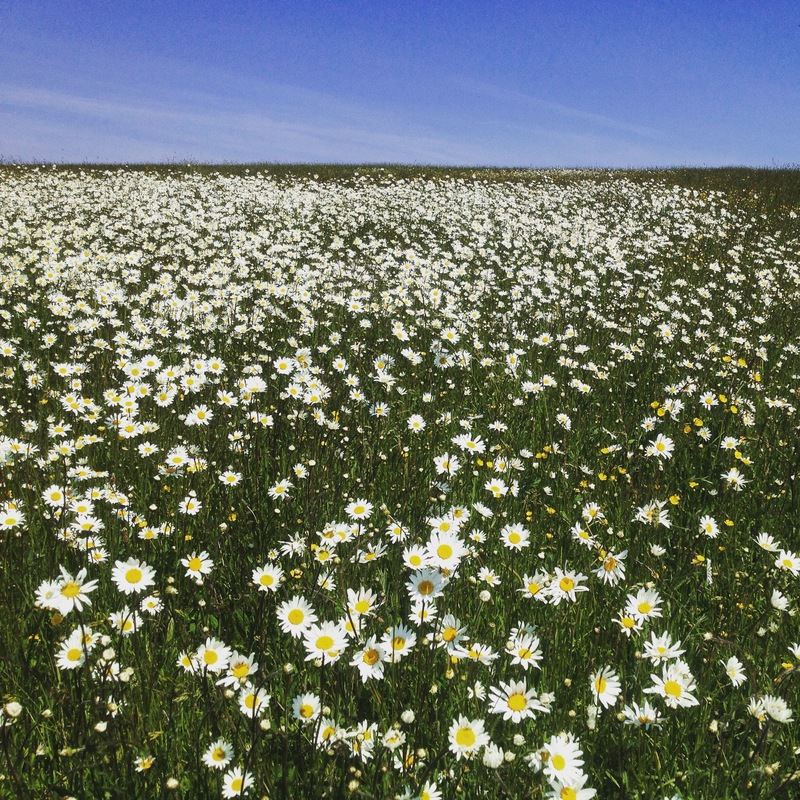 One of many surprise fields of giant daisies! But oh! How you burned. Your sun rose every morning, intensifying the vivid colours of summer, but as your days progressed she turned fiery, torrid, stifling. She might have been beaming at us for all we know, but she melted our clothes off and forced us to throw open our windows and escape the humid confines of our humble abodes. 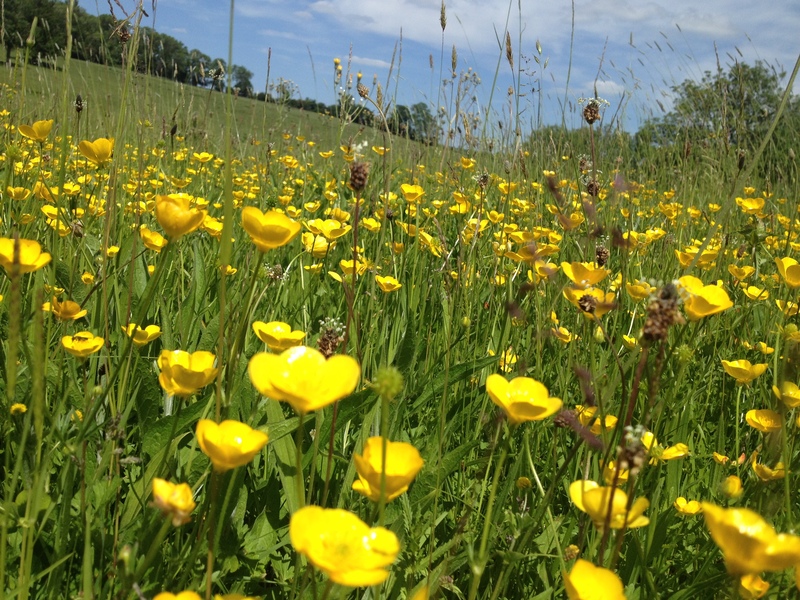 Tall and strong buttercups of the country. Taller and stronger than any I have ever seen before! I loved you, June, in all your crowning, flowery glory. Your mornings were dewey and sweet with the scent of pine and honeysuckle. Your evenings were light and airy, when you gracefully shrugged on your gossamer dress, spun with the silk of a thousand flying baby spiders, recently hatched. The nights were heavy with silence, stars, and the scent of fresh, sweet grass and crisp foliage. You saw me through many humanisms, many small sadnesses, and many grave realisations. I realised I didn’t understand my mother as well as I would like. I realised that you can’t just brush things under the carpet, and if family members don’t want to push themselves, you have to pick up your own broken pieces and help them do it. I realised that you have to push and push, if you want your shoots to penetrate the sandy membrane of life, and just when you think you are done pushing, you have to push some more. You never stop pushing! I realised that your parents are not as perfect as your younger self thought they were, that they are very much human and are always making mistakes, just as you are. That you will never stop making mistakes. That was a little let-down, to be honest. But I am resolving to try my best always, to be my best, to act my best, to never lose control of myself. You were glorious this year, June, and when you left us you let yourself linger a little, for emphasis. The hottest day in the UK recorded for nine years, was your last day with us. You do love to make an impression!